Pushkin Children's Books, 9781782690818, 512pp. 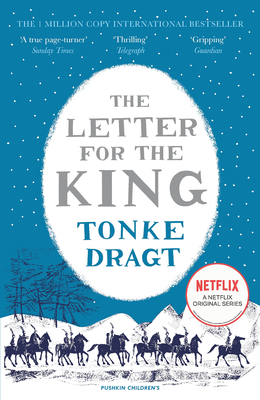 Tonke Dragt was born in Jakarta in 1930 and spent most of her childhood there. When she was twelve, she was interned in a camp run by the Japanese occupiers, where she wrote (with a friend) her very first book using begged and borrowed paper. Her family moved to the Netherlands after the war and, after studying at the Royal Academy of Art in The Hague, Dragt became an art teacher. She published her first book in 1961, followed a year later by The Letter for the King, which won the Children's Book of the Year award and has been translated into sixteen languages. Dragt was awarded the State Prize for Youth Literature in 1976 and was knighted in 2001.